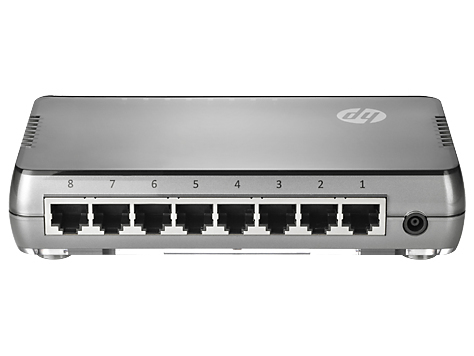 HP 1405 Small Office Switch Series consists of plug-and-play unmanaged 5-, 8-, and 16-port Layer 2 switches designed for small offices, in both Gigabit and Fast Ethernet configurations. The switches are preconfigured for fast, easy installation, with connections using low-cost Ethernet copper cabling. They support administration-friendly features such as auto-negotiation and automatic cable type detection (MDI/MDIX). They are Class B certified and approved for both business and home office locations. 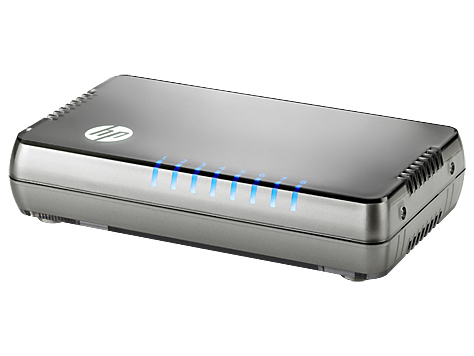 Version 2 5- and 8-port models have energy-saving features such as Energy Efficient Ethernet (EEE) and idle-port powerdown. All models are fanless for quiet and "green" operation, and are designed for high reliability, long life, low power consumption, and low total cost of ownership. 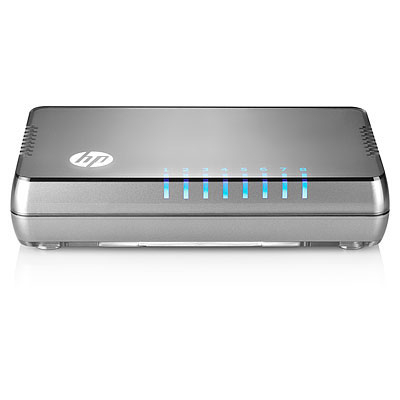 These switches come with a 3-year warranty, covering unit and adapter, and 3-year access to HP phone support.